Ready to remodel? Use local talent to get professional service, whether your want to update a kitchen or bathroom - or completely reimagine your entire home. Seacliff Construction & Design makes the remodeling process simpler and minimizes your stress along the way. By offering both design and construction services, our professional team is able to streamline your project - no matter what size of remodel you need. We pride ourselves on providing excellent customer support and service, teaming with you every step of the way to accomplish your remodeling dreams. With more than 20 years of experience in Santa Cruz County and the Monterey Bay community, we are well connected to local artisans, architects, specialists and suppliers. They help us create tailored design solutions that are both innovative and affordable. Lennox Smith co-founded Seacliff Environmental and Construction in 2004, and transformed the business to Seacliff Construction and Design in 2013. Seacliff Construction & Design is a fully licensed and insured and consider safety on the job a top priority. Contact us today for a free consultation. 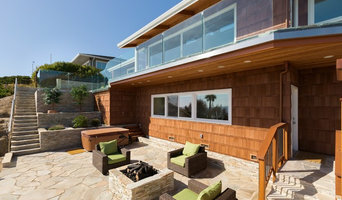 We are a top General Contractor in Santa Cruz with 45 year of industry experience! We specialize in residential remodeling and construction in the great Santa Cruz County. We provide assistance geared towards each client’s custom needs. Each project is completed to fit the client’s individual needs and life style from start to finish. Residential Custom Builder with an eye for the perfect home for you! The Hansmann family has been building custom homes in Santa Cruz County since 1962. Steve Hansmann is the second generation of Hansmann home builders, and now he is teaching the fine art of building to his sons John and Dave, the third generation of builders. We pride ourselves on attention to detail and outstanding customer service. We have not had an unhappy customer in 37 years. We specialize in green building and do a wide variety of projects including new homes, ADU's, and remodels. General, or construction contractors, are often known as project managers. They oversee the entire remodeling or new home construction project and facilitate all day-to-day tasks that move it toward completion. A Rio Del Mar general building contractor will work with your architect to review plan as you build a house and ensure everything is in place before work is started as well as arrange for permits and necessary inspections. While good local home improvement contractors in Rio Del Mar will have the skills to handle certain tasks onsite, such as carpentry, he or she is also responsible for hiring subcontractors for the majority of jobs, such as electrical work, painting or plumbing. In addition, the general contractor should be on-site regularly to inspect the progress and resolve issues. Here are some related professionals and vendors to complement the work of general contractors: Architects & Building Designers, Interior Designers & Decorators, Landscape Architects & Landscape Designers, Kitchen & Bath Designers, Specialty Contractors. Home remodeling contractors are a must for successful completion of a renovation. Because of this, it's essential that you do your homework before deciding on the right general contractor in Rio Del Mar as you remodel or build a house. Inspect bids carefully. Was it ready when the contractor promised it? Was the bid for building a home unusually high or low? Each of these things can be very telling: A late bid may reflect timing standards, and an off-the-mark bid could be code for a pricey premium or a deliberate underbid to score the remodeling job. 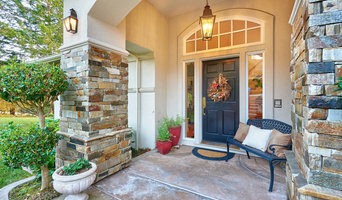 You should call references, carefully read reviews and visit completed projects in Rio Del Mar, CA to see if they’re what you expect for your job. Once you do secure your local Rio Del Mar contractors, read the contract very carefully to be sure everyone is on the same page. 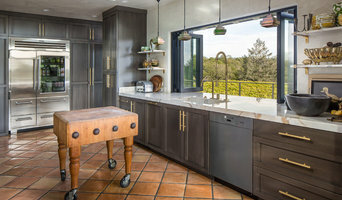 Find a Rio Del Mar contractor on Houzz. 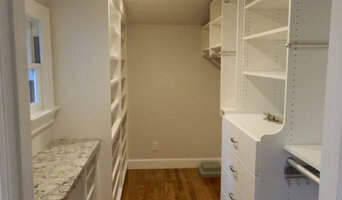 Narrow your search in the Professionals section of the website to Rio Del Mar, CA home contractors. You can also search for photos in Rio Del Mar, CA and contact the Rio Del Mar general contractor who worked on the project.